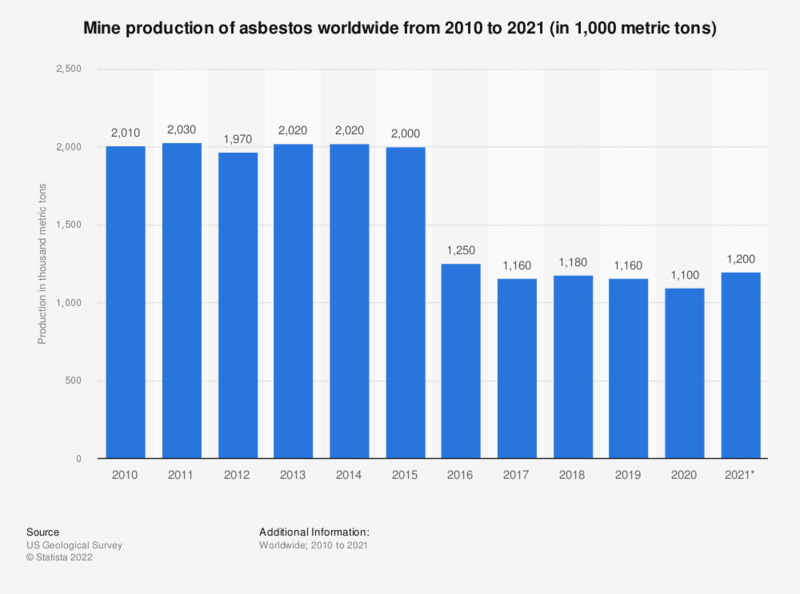 This statistic depicts the total world mine production of asbestos from 2007 to 2018. The world mine production of asbestos amounted to approximately 2.2 million metric tons in 2007. In 2018, total production dropped just above one million metric tons.